Greece has a lot of islands that are equally beautiful because of the amazing architecture, history and the views. The biggest Greek island is Crete which has some amazing beaches and mountains and is a very popular tourist destination. Crete is really beautiful, but it has much more to it than that. It is located in the Eastern Mediterranean and covers an area of 8,336 km². 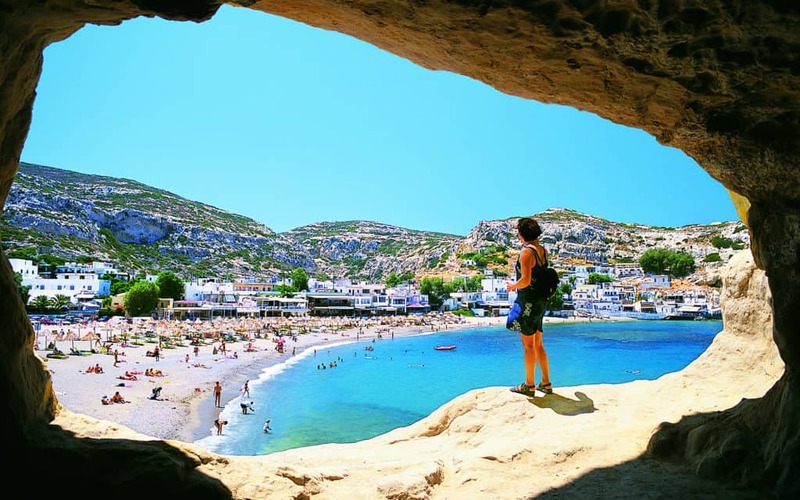 In this article, we are going to give you eight reasons why you should consider visiting Crete this summer. Make sure to keep reading if you’d like to find out more about Crete. One of the most impressive things about Crete is the beaches that it has to display. There are loads of different beaches with some more cluttered with tourists than others. Some beaches have little coves while others are used more for water sports and other activities. Make sure to check out the Balos Lagoon which is known for being one of the most beautiful beaches. Another great thing about Crete is the beautiful Crete Villas that are on offer for those who want to enjoy a bit of luxury when they visit this island. BlueVillas.com offer stunning views and lots of space for couples or families who want to step their holiday up a notch and rent out one of these luxury villas. If you chose to stay at one of the amazing Blue Villas, you can enjoy the chef packages which will let you get the real taste of Crete from the comfort of your own villa. Make sure to check this out before you book your villa for a real Greek experience. We highly recommended this if you want to have an amazing holiday on this island. If you’ve ever tried Greek food, then you’ll know that it like nothing else you’ve ever tried before. In Crete, you’ll get the genuine taste of Cretan food and you’ll get to understand how important the diet is in the culture of this island. Enjoy some Dakos, Kaltsounia or some Raki. Have you ever been snorkelling or diving when you’ve been travelling? Visit Crete and you’ll love that you can enjoy this activity in the very clear waters. You’ll get up close with nature and create some memories that will stay with you forever. Make sure to get the proper training before you set of on your diving or snorkelling adventure to ensure that you stay safe and don’t encounter any sort of issues. The Samaria Gorge National Park provides travellers with some of the best views in Europe due to the amazing beauty of this park. Here, you’ll find waterfalls, mountains and 10 miles of stunning views. Make sure to check out this national park if you want to see the real beauty of Crete. Crete has great weather throughout the year but the best time to visit this amazing island is in the summer where you’ll see temperatures soar to around 27°C. This hot weather coupled with the amazing beaches will make you not want to ever leave this beautiful island. Sick of sitting by the beaches and want to catch a glimpse at the Cretan cities? Well you’re in luck because Crete has some amazing cities for you to choose from. Make sure to check out Chania, Heraklion or Rethymno which will give you a different insight into the culture in comparison to the old towns that are scattered along the island. You won’t be disappointed so make sure to schedule in some time to do this in between sunbathing or eating the amazing food. The final reason that you should visit Crete this summer is the history that surrounds this beautiful Greek island. Crete itself used to be where Greek civilisation was centred and if you explore this amazing island you’ll catch a glimpse of the ancient history. Not only are there many places to visit that will let you in on this history but you’ll also be able to visit the old towns such as the Old Town of Chania if you want to be totally immersed in the Greek culture. There are many reasons why you should visit Crete this summer. If you have never been to any of the Greek islands, then the largest one is a good place to start. There really is something for everyone here and you’ll never be bored with the beautiful history that surrounds this island. Make sure to book a villa if you want to get some stunning views in the privacy of your own space. Sit back and relax or get out and explore- the choice is yours when you visit Crete.